Phosphatidylserine (PS) is a phospholipid component of the membrane encasing every one of your brain cells. PS helps maintain the fluidity and permeability of brain cells. Allowing for the efficient transfer of proteins, enzymes, nutrients, oxygen and glucose into and out of each cell. Phosphatidylserine is involved in the formation and sending of signals within neurons. And the chemical signaling that takes place across neural synapses. PS promotes healthy nerve growth factor (NGF), and supports the neurogenesis needed for long-term potentiation (LTP). Memory formation depends on healthy LTP. Phosphatidylserine is involved in building mitochondria which are the energy centers of each brain cell. 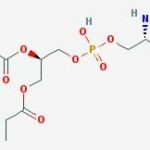 Phosphatidylserine (PS) is arguably one of the most effective and important nootropics we have available today. PS keeps our brain cells healthy. And has a reputation for improving alertness, attention, cognition, memory, recall and mood. 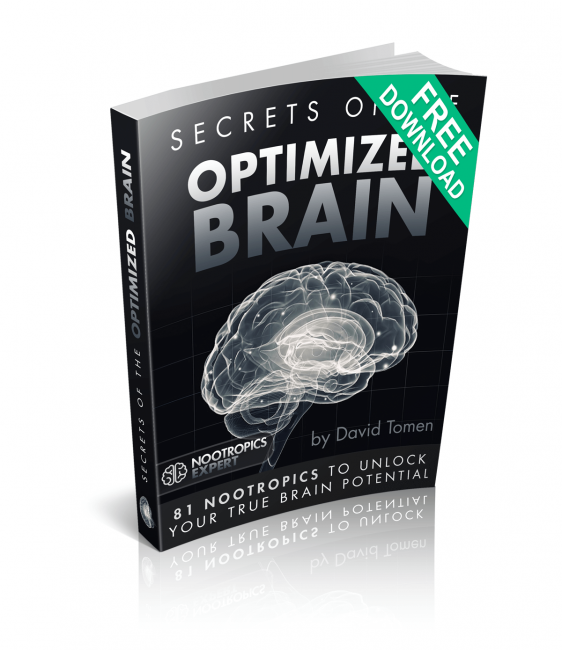 Neuro-optimization: Phosphatidylserine (PS) keeps brain cells fluid and permeable. This neuroplasticity helps neurons form new connections needed for memory formation. PS is integral to cleaning up damaged neurons and maintaining an optimized brain. [i] And PS boosts mental energy by easing the flow of glucose and oxygen needed to power brain cells. Neurotransmitters: Phosphatidylserine is an integral part of the flow of crucial neurotransmitters like dopamine and acetylcholine. And phospholipids contain choline which is a precursor to acetylcholine (ACh). So PS will increase ACh levels in your brain. Affecting cognition, memory and mood. And reducing anxiety. Neurogenesis: Phosphatidylserine works in concert with the DHA in Omega-3’s and keeping brain cells optimized. Prolonging neuron survival and health. How does Phosphatidylserine work in the Brain? Phosphatidylserine (PS) is a phospholipid component of brain cell membranes. The membrane is the outer casing surrounding each cell. PS plays a vital role in cell-to-cell signaling in the brain. And is needed to maintain the fluidity of all cell membranes. Phosphatidylcholine (PC) is the most abundant phospholipid in the brain. Followed by a slightly lesser amount of Phosphatidylserine (PS). PC is in the outer layer of brain cell membranes, and PS is part of the inner layer. Both are critical to maintaining optimal cognitive health. PS is synthesized from PC in the brain by exchanging the base head group with a serine. 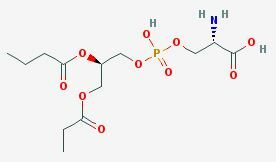 Phosphatidylserine (PS) supports the formation and sending of neural signals within neurons. And across synaptic junctions that link one neuron with another. This cellular communication is how we form memories. Phosphatidylserine (PS) also helps nerve growth factor (NGF) that ensures healthy neurogenesis. And PS even assists in building mitochondria which are the energy source in every one of your brain cells. The good news is you can prevent this cellular damage from happening. The amount and type of long-chain fatty acids in your diet affects the composition of these cell membranes. The structure and function of your cells depend on the ideal balance of fats including cholesterol, oleic, palmitic and stearic fatty acids. And essential fatty acids like Omega 3. Without this proper balance, cell membrane function is compromised. But our typical modern diet does not provide the ideal balance of fatty acids (phospholipids) to maintain brain cell health. It’s why we experience brain fog, memory loss, slow thinking and poor decision making. 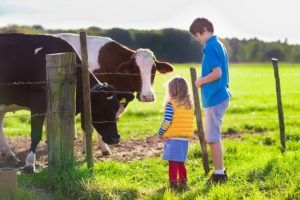 You naturally get Phosphatidylserine (PS) from foods like cow brains, pig spleen and chicken hearts. So there must be some merit to the saying, “Eat brains and get smarter”! Unfortunately, not many of us include organ meat as part of our daily meal plan. So the best way to maintain healthy levels of Phosphatidylserine (PS) in your brain is taking PS as a nootropic supplement. PS was originally made from bovine (cow) brains. But with the mad cow disease scare, PS supplements are now made from extracts of soy or sunflower lecithin. Phosphatidylserine boosts brain health and function in several ways. But two in particular stand out. Phosphatidylserine is needed for memory. PS stimulates the brain chemicals that boost neural signaling for quick, clear thinking. In fact, Phosphatidylserine is one of the most effective memory boosters known. PS has been shown that it can slow, halt and even reverse the progression of age-related cognitive decline. One study with 149 patients meeting the criteria for age-associated memory impairment were given 100 mg of Phosphatidylserine or a placebo for 12 weeks. Phosphatidylserine helps repair neurons. PS works in concert with DHA (Omega-3) to protect brain cells from damage. And boost neuronal survival. You brain is made up largely of DHA fat. The kind of fat you get from supplementing with Omega-3’s. And a decrease in DHA content in the brain results in cognitive impairment. And studies show that Alzheimer’s Disease is associated with lower Omega-3 fatty acid intake. Researchers in Canada looked at samples provided by the Memory and Aging Project. And found a significant difference in plasma fatty acid profiles of those with Alzheimer’s, mild cognitive impairment and those with perfectly healthy brains. Trials and clinical studies like these provide plenty of motivation to supplement with Phosphatidylserine and DHA. It will help you ward off neurodegenerative disease. DHA and PS for an optimized brain. All of these changes can happen at any age. And starts as early as our 20’s. Our cell membranes are influenced by the food we eat, what we drink, lifestyle habits, the air we breathe and more. So Phosphatidylserine (PS) can help for age-related cognitive decline, as well as a student looking to do better in school. Phosphatidylserine (PS) makes up about 15% of the total phospholipid pool in your brain. PS is located mainly in the internal layer of your brain cell membranes. PS is involved in governing membrane fluidity, and the regulation of all activity going on in that brain cell. PS interacts with cellular proteins, modulates the activity of neuroreceptors, enzymes, ion channels and signaling molecules. Supplementing with Phosphatidylserine improves brain function that tends to decline with age. Healthy brain cell membranes support neuroplasticity so neurons can form the connections needed to convert new experiences into memories. Many clinical trials with PS have shown improvements in working- and long-term memory, recall, logic and even speech. Attention span increases while using PS. And motivation, socialization and initiative all increased when using Phosphatidylserine as a nootropic. Easier to remember names, phone numbers, tasks, etc. There are reports that PS helps with Tourette’s Syndrome. Phosphatidylserine (PS) a great compliment to ADHD meds. PS helps tame the symptoms of ADHD. And doesn’t interfere with popular stimulants like Ritalin and Adderall. You may even be able to cut back on the ADHD meds once Phosphatidylserine builds up in your system. Beta brain waves have the most rapid pattern of all the brain waves produced in your brain. 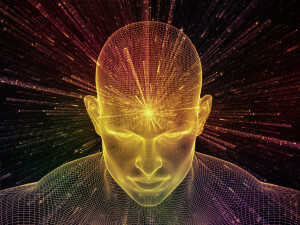 Beta waves are associated with concentration, arousal, alertness and cognition. But it would be unpleasant to be in a constant state of arousal. This study in Germany gave 16 healthy subjects Phosphatidylserine (PS) for 42 days. The team tested brain wave patterns before supplementation. And again in 42 days. Studies have shown that Phosphatidylserine blunts the release of cortisol in response to exercise stress. And PS improves mood. In this study, researchers at the University of Wales Swansea gave young adults 300 mg of Phosphatidylserine each day for a month. Phosphatidylserine is found in the cell membranes of most animals and plants. PS has been shown to reduce stress and increase performance in runners, cyclists and golfers. This double-blind, placebo-controlled study was conducted to study the effects of PS on cognitive function, mood and endocrine response before and after intense exercise. 18 lower body, resistance-trained male college athletes took Phosphatidylserine for 14 days, or a placebo. Following 14 days of supplementation, participants performed an acute bout of lower body resistance training. Mood and cognitive function were measured before, 5 minutes after and 60 minutes after exercise. And blood samples were drawn prior to, 5, 15, 25, 40 and 60 minutes after exercise. Blood was tested for cortisol and testosterone. Researchers in Japan conducted a randomized, double-blind, placebo controlled trial with 36 children aged 4 – 14 years. The kids were diagnosed with ADHD but had not received any conventional ADHD treatment prior to the trial. The children received 200 mg of PS or a placebo daily for 2 months. The team recorded the children’s ADHD symptoms, short-term and working memory, and mental performance. Another study with 200 ADHD children looked at the effects of Phosphatidylserine combined with Omega 3’s for 30-weeks. The key finding of this trial was a significant reduction in the restlessness/impulsive scale and an improvement in emotions. 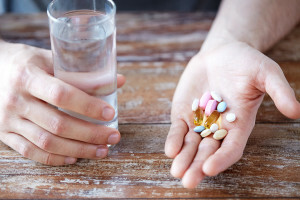 The bottom line is that if you have Adult ADD like I do, or you have children with ADHD or ADD, consider 200 mg of Phosphatidylserine for a couple of months before going with Adderall or Ritalin. And add in some Omega 3’s for good measure. Or find a ready-made Nootropic stack like Mind Lab Pro™ that already has 100 mg of Phosphatidylserine in their formula. No side effects and you just might get rid of the ADHD symptoms that are plaguing you. Several studies have shown that using Phosphatidylserine as a nootropic to boost memory works well both for age-related cognitive decline as well as more serious diseases like Alzheimer’s and dementia. A double-blind, placebo controlled trial in Tel Aviv worked with 18 healthy elderly volunteers with age related cognitive decline. The volunteers took 100 mg of Phosphatidylserine 3-times per day for 12 weeks. They were evaluated at the start of the trial, at 6 weeks of treatment and at the end of the trial. Recommended Phosphatidylserine (PS) dosage is 100 mg 3-times per day. If you’re concerned about Genetically Modified Organisms (GMO) like I am, make sure you find Phosphatidylserine (PS) that is non-GMO. Because most PS is derived from the lecithin of soybeans. And oddly enough a manufacturer may use both GMO and non-GMO. And not have it marked on the packaging. I’m aware of at least one supplement maker who offers non-GMO PS in their 120-count bottles. But their 60-count bottles are made with GMO soybean lecithin. Do your research. 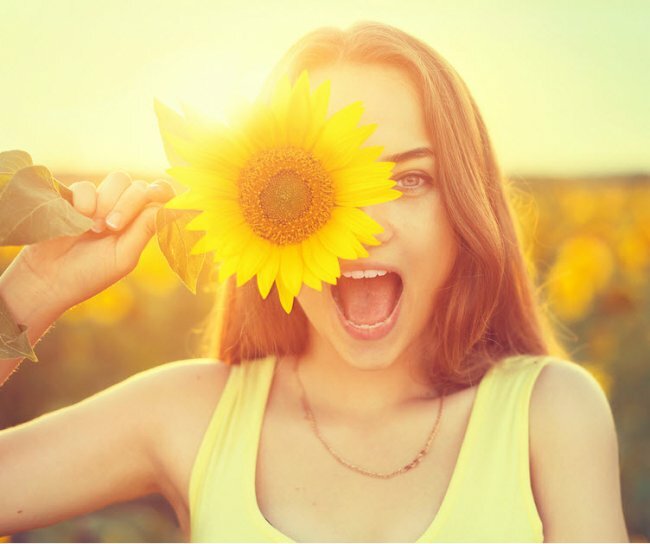 Even better is find Phosphatidylserine (PS) that is made from non-GMO sunflower lecithin. Especially if you’re allergic or react to soy. Phosphatidylserine (PS) is naturally produced in your body and is considered well tolerated and safe. PS is non-toxic. Some may experience insomnia or stomach upset at higher than recommended doses. Medications for Alzheimer’s may interact with Phosphatidylserine because these drugs are often Acetylcholinesterase (AChE) inhibitors. An AChE inhibitor will increase the amount of acetylcholine (ACh) in your brain. And since PS increases ACh, you may end up with too much acetylcholine. Phosphatidylserine is sold in tablet or capsule form. Capsules can run from 100 to 300 mg each. Plain PS was originally sourced from cow brains. But since the mad cow disease scare, most PS supplements are now made from soybean lecithin. Enzymotec makes a unique form of Phosphatidylserine called Sharp PS®. It is made from vegetable sources that are not soy-based, and is non-GMO. 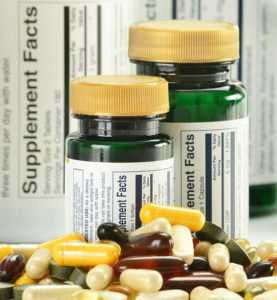 Several supplement makers offer this branded form of PS which they license from Enzymotec. Mind Lab Pro™ offers a nootropic stack that includes 100 mg of Sharp PS® that is derived from non-GMO sunflower lecithin. Another good option is Performance Lab® Mind which also contains Phosphatidylserine (PS) (using Sharp PS® Green). CHEMI Nutra also makes a branded form of PS made from soy lecithin called SerinAid®. A few supplement makers license this brand of PS for use in their PS products. We recommend using Phosphatidylserine (PS) as a nootropic supplement. PS helps lower cortisol which can help with insomnia. And provide you with a stress-free workout in the gym or on the court. Phosphatidylserine (PS) clears brain fog, boosts energy levels, helps alertness, and provides clarity to your thought process. You can get Phosphatidylserine from food. But the highest concentrations of PS are found in organ meats like cow brains and pig spleen. PS levels decline as you age starting in your 20’s. And you are unlikely to get nearly enough through diet. So to get its benefits you should take it as a nootropic supplement. I suggest starting with a dose of PS at 100 mg 3-times per day. Dosing should not exceed 500 mg per day. And there is little benefit to overdoing it with Phosphatidylserine (PS). You can buy individual Phosphatidylserine supplements. Or you could try my favorite pre-formulated nootropic stack Mind Lab Pro® which includes Phosphatidylserine (using Sharp PS® Green). Another good option is the Mind formula by Performance Lab® which also contains Phosphatidylserine (using Sharp PS® Green). You can see my full review of Performance Lab® Mind here. Thanks for directing me to phosphatidylserine as a possible addition to my stack. I have a few questions about this nootropic. Firstly, you suggested either PS or a combo of PS and PC. I can’t find PC at my regular supplier or anywhere else without a bunch of other ingredients already added. But I can get my hands on PS. That’s made up of >50% PS, <18% PC, <10% phosphatidyletholamine and <5% phosphatidylinositol. Does that sound like a good product to buy? Also, I see PS increases Ach. Would that mean I'd need to take less of or stop taking a choline source? I ask this because one of the proposed reasons for mania and depression is due to Bipolar folks having excess acetylcholine receptors and therefore are sensitive to Ach. I'm still trying to figure things out when it comes to my choline needs. 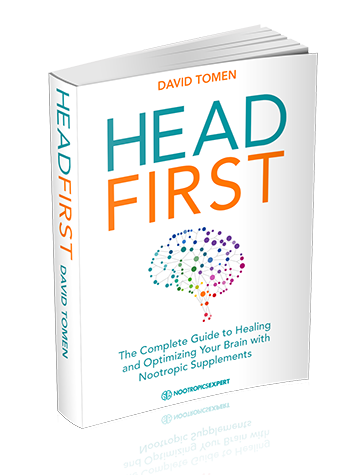 I've tried a premade stack with racetams and did experience the most awful, debilitating headaches. They seemed to improve when I started dosing with Alpha GPC. But never went away completely. But that could be because I didn't dose with enough Alpha GPC. But I have no idea how to test whether I'm sensitive to Ach. Also, I've found information that proposes a BCAA drink can lower symptoms of mania. So I got the BCAA formula from Performance Lab to test this theory on myself. This is made from fermented sunflower lecithin. And I see that phosphatidylserine is made from sunflower lecithin too. So does it stand to reason that the BCAA will have the same effect as just the phosphatidylserine? Gabriella, funny you should mention BCAA because I’m just now doing a review. Both come from sunflower lecithin but are different compounds. The first supplement you mention sounds like it may be a good option. Acetylcholine is something you need to be aware of especially with your issues. But just watch for the signs of too much ACh. Like unusual sleepiness or fatigue. Only you can determine if the combo of PS + PC + Alpha GPC is to much for your brain. Learn to watch for the signs of too much ACh. Many make the same mistake with the racetams and don’t realize they must be stacked with a choline supplement like Alpha GPC or CDP-Choline. Otherwise, you’ll get a ‘racetam-headache’. Thanks David, for your detailed input. I looked everywhere for a BCAA supplement without the Tyrosine and other compounds added. Which the market is flooded with. You’ve probably seen it already, but if not, here’s a link to that study. Thanks for that study Gabriella. I had not come across is yet in my research. So much appreciated. Thanks for the input. The BCAA formula from Performance Lab is by far the best on the market from my research. This is what I have for myself to target the Bipolar symptoms and the ADD. *NAC 600 mg 3 times per day. *ALCAR 300 mg for a start but will go up if needed. *BCAA in case of mania and a quick “bring me down”. As for a choline source, I’ll need to do some testing to see if I’m sensitive to choline before committing it to a stack. What do you think of my stack as it stand? Is there anything you’d take out? Also, people everywhere are always punting how important a choline source is. I understand the health benefits and also the issues low choline can cause long term. But is it really always necessary to have a choline source? If I do add a choline source, which one is better in your opinion? Alpha GPC or CDP Choline? 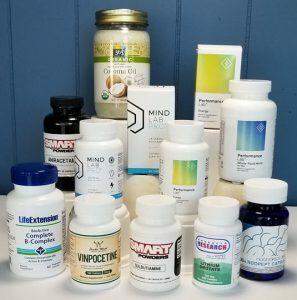 Gariella, you have a great start with your nootropic stack. Pls. consider adding a choline source because you need acetylcholine for so many things including brain function. Some respond better to Alpha GPC and some to CDP-Choline. You may need to try both to see which one works best for you. In my opinion, your EPA dosage is much too high. For ADD please see this post > https://nootropicsexpert.com/best-nootropics-for-adhd-add/ for a better understanding on what you are dealing with. And what you can do to help alleviate symptoms. Esp. when it comes to dopamine and acetylcholine. My question is, do really the complement each other ? Can I take both ? If, yes in what quantity ? The b12 have an impact with the PS? Do these have to be taken 3 times a day or can it be taken all at once? Gregory, to keep consistent levels in your system PS should be dosed 3-times per day. For example; morning, noon and late afternoon. Thanks a lot for the quick reply! I really appreciate the information all the information you have on your site. I have refereed countless people here. Keep up the good work! Hello i just received PS from Swaonson. Its derived from soy. Do you think its a concern? Is all soy GMO?? Haakon, all soy is GMO these days unless clearly stated otherwise on the label from a trusted manufacturer. I suggest you use the PS you now have as a month is not going to do much harm. But in the future get your PS sourced from non-GMO sunflower lecithin. Any supplement using Sharp PS is good. I recently watched your YouTube video on Phosphatidylserine. This sounds like something that would really help me. What time of the day should I take it and should it be taken with or without food? Thank you so much for your investment into the lives of others! Austin, see “Dosage notes” above. And it can be taken with or without food.